Due to our rich experience of this domain and rich vendor base we offer reliable Shell Core Blower in various shapes. Our blowers are highly demanded in pharmaceuticals, food and mechanical industries as well as workshop units. We develop our blower with newest technology and employing perfect raw material. Our Shell Core Blower with Ovens are highly durable and show optimum performance for several years. Established in 2006, Shriram Group Of Industries is the group of two major companies of India named as Shriram Engineers, Shriram Industries. We are involved in Manufacturing, Exporting and Supplying complete range of Swing Door Core Shooter, Intensive Sand Mixer, Core Sand Mixer, Sand Muller, Vibrating Siever, Polygon Siever, Rotary Siever, Pedestal Grinder and many other machines. All our mechanical instruments are of superior quality and best in the industry. 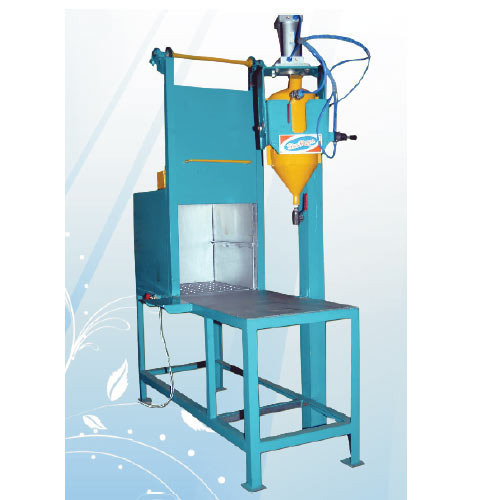 Our machines are manufactured under the follow up of highly talented dexterous engineers. We are highly dedicated to execute the requirements of our precious customers. We earn the trust of the clientele by embedding longer life and simple handling in all our manufactured machines.